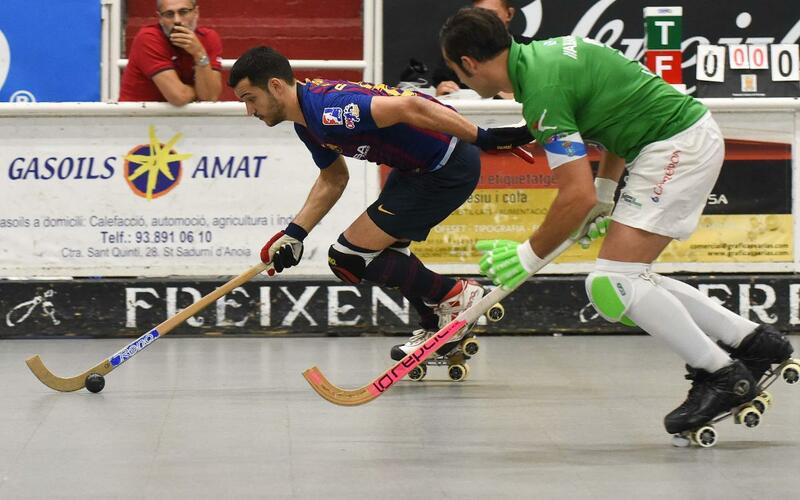 The Spanish Super Cup slipped away in the final moments on Sunday night as Barça Lassa lost to HC Liceo, 3-2, on a goal by Carlo di Benedetto with just 10 seconds to play. Despite Barça's great effort throughout the game, the good performance was not rewarded and the title ended up going to the Galician team. The match began favorably for Barça, which went ahead after just three minutes of play on a penalty drawn by Pau Bargalló and goal by Sergi Panadero. Despite Barça's attempts to extend the lead, Liceo's Edu Lamas, a former blaugrana, tied the game at 1-1 just three minutes from from the break. Then, in the second half, Marc Coy gave Liceo a a 2-1 lead in minute 27, meaning Barça had time to react, and the blaugranas set their sights on Liceo goalkeeper Xavi Malián — who would end up being the MVP of the final — until the tying goal finally came. Matias Pascual buried a stellar shot from the front of the area, drawing Barça level, 2-2, in minute 43. Then, with overtime appearing to be ever more imminent, Carlo Di Benedetto gave the victory to the Galicians with just 10 seconds left, making it 3-2 in minute 50, keeping the Spanish Super Cup just out of reach for Barça. The loss was Barça's first in 10 months, the last one coming in a November 2017 OK Liga match versus Reus, also by a score of 3-2. Nevertheless, Barça has already won one title this season, taking the Catalan Super Cup last Tuesday, while this coming Saturday at 8.00pm CEST they'll have a chance at some revenge — when they face Liceo again in the OK Liga opener at Riazor.